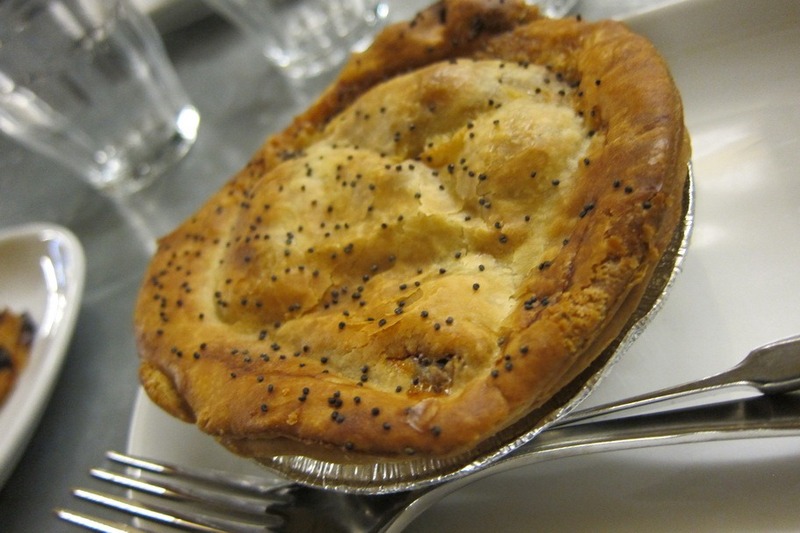 One of the true Aussie specialty foods, Aussie Pies are like miniature chicken pot pies – a little bit of joy that fits in the palm of your hand. 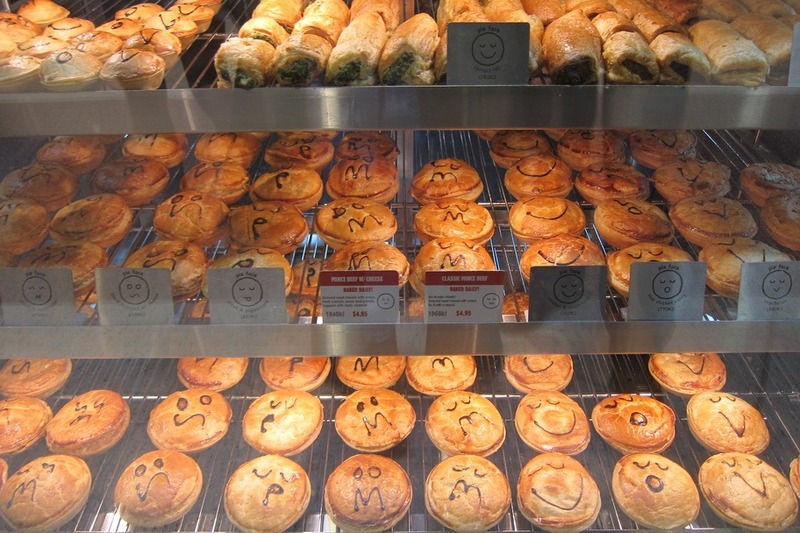 Aussie Pies come in a ton of varieties, though the most common types we encountered were Steak & Pepper, Chicken & Leeks, and Steak & Kidneys. You can find them at pretty much any bakery, pub, or grocery store. So good. After our first encounter with an Aussie Pie Mrs. Selfish and I were hooked, so we set out to find the Best Aussie Pie in Sydney. 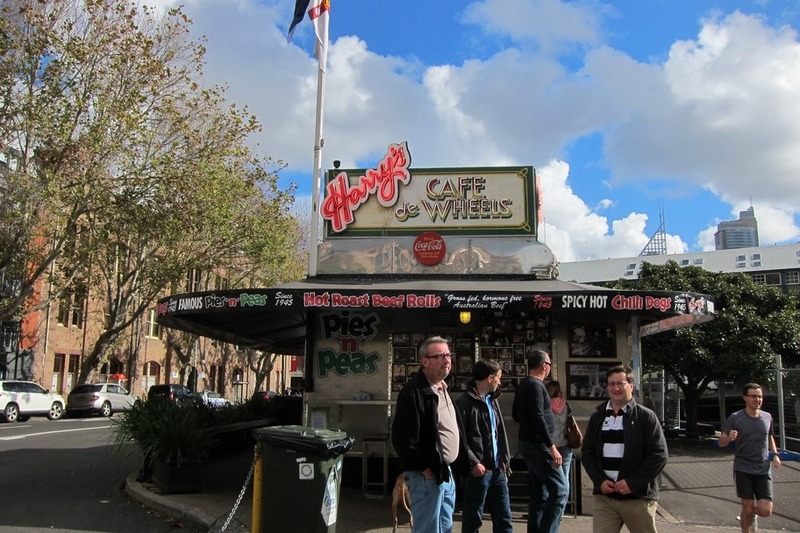 Our first introduction to Aussie Pies, Harry’s Café on Wheels is a mainstay in Sydney, having been in the city since 1945. Mrs. Selfish and I decided to try the Tiger, which is beef pie with mash & mushy peas. The Tiger had excellent flavor, with the beef flavor blending sublimely with the gravy, mash and mushy peas. More mountain of food then hand-sized pie, I was surprised at how well the pie’s crust stood up to the gravy and peas – maintaining its crunch through the course of the (albeit short) meal. VERDICT: Decadent & delicious, the Tiger was loaded with flavor – and mash & peas. We later tried the curry variation, which was excellent as well, but for a starter pie I would try their classic Tiger. 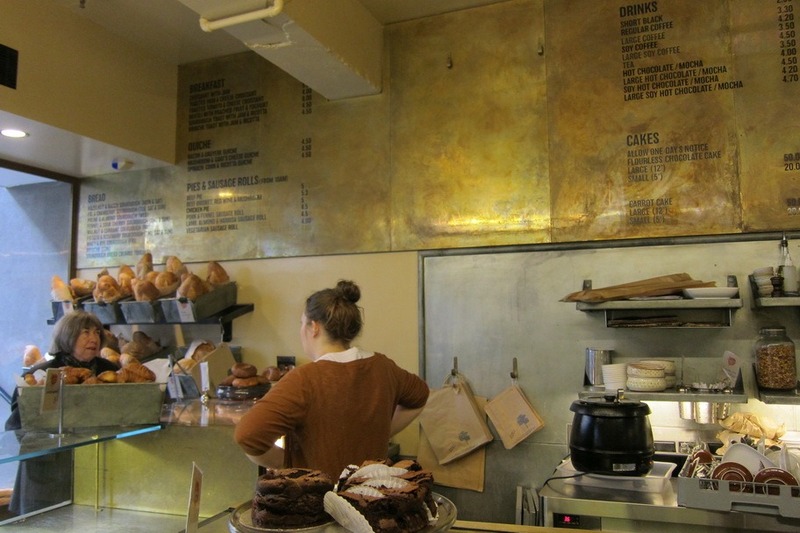 Next we stopped by Bourke Street Bakery, a small Sydney chain with locations in Potts Point, Surry Hills, Alexandria, Marrickville, and Neutral Bay. 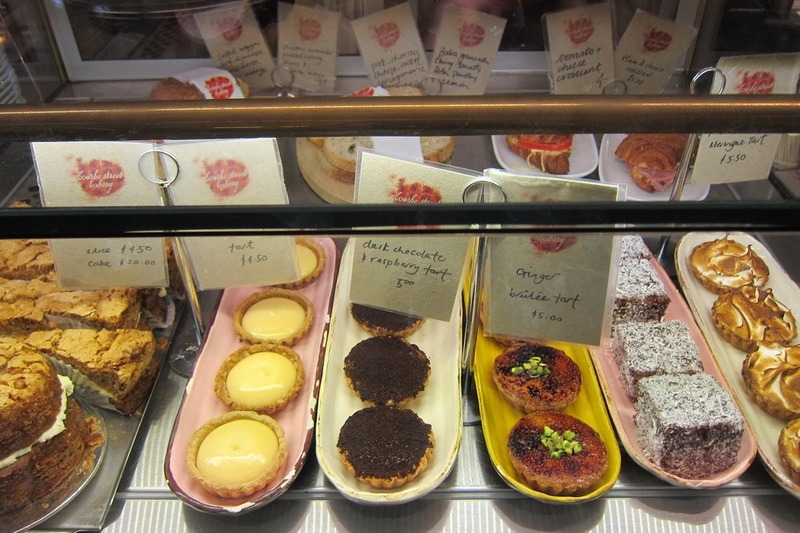 Where Harry’s is an old school, retro-style food stand, Bourke Street exudes a sleek Hipster vibe. Mrs. Selfish and I decided to tuck into the classic Steak & Black Pepper Pie and a Sausage Roll. The Steak & Black Pepper pie was excellent, though the black pepper slightly overpowered the flavor of the beef. Nevertheless, the crust was an excellent golden brown: crunchy on the outside, and flaky in the center. 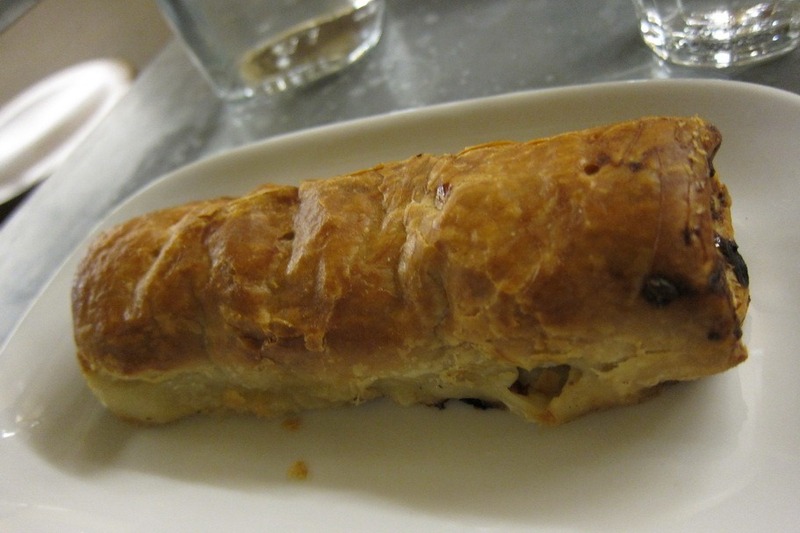 The Sausage Roll, on the other hand, was outstanding: warm, flaky, and filled to the brim with flavor. I’m not sure what type of sausage they put in there, but it tasted like it was packed with a chef’s secret stash of herbs and spices. VERDICT: Skip the Aussie pies and go for the sausage roll. 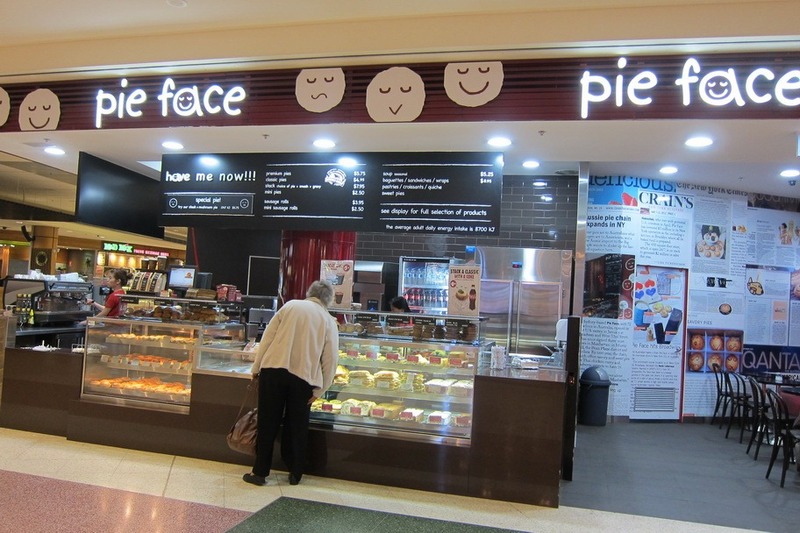 For our last and final pie (at least in Sydney), Mrs. Selfish and I decided to try Pie Face, a major Aussie Pie chain. 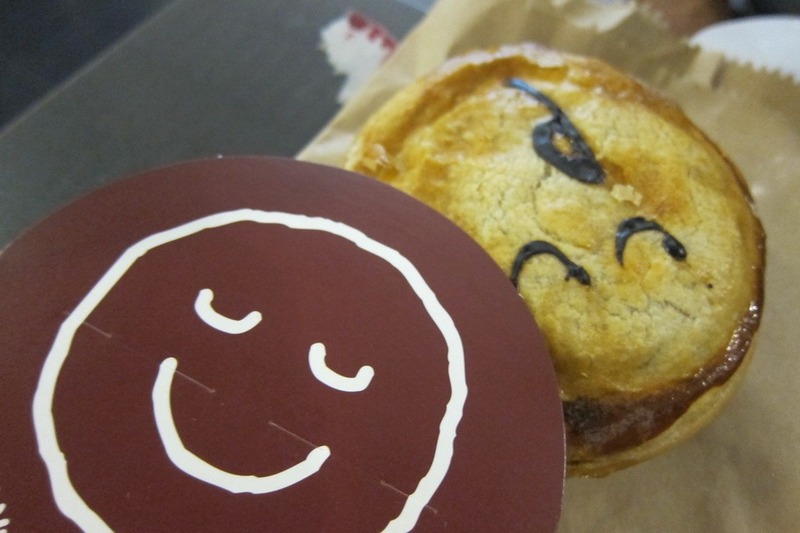 The pies are cutsie and are actually decorated with little faces, hence the name. 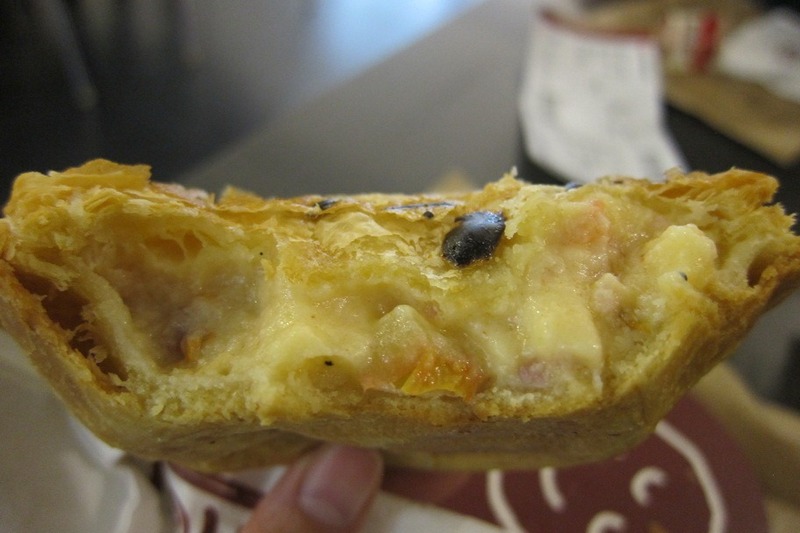 Since it was breakfast, Mrs. Selfish decided to try the Bacon & Egg pie, while I once again tried the Steak & Peppercorn. The cashier asked us if we wanted tomato sauce (translation: ketchup), which I opted for. The Steak & Peppercorn was a little bland, though the crust was decent. The ketchup brought an added dimension, though I’m not sure if it was much of an improvement. Mrs. Selfish’s Bacon & Egg pie, on the other hand, was overwhelmingly creamy. With every bite a little bit of pie insides would shoot out the side, causing a scorching mess. The bacon was also more of a Canadian bacon style, to my disappointment. 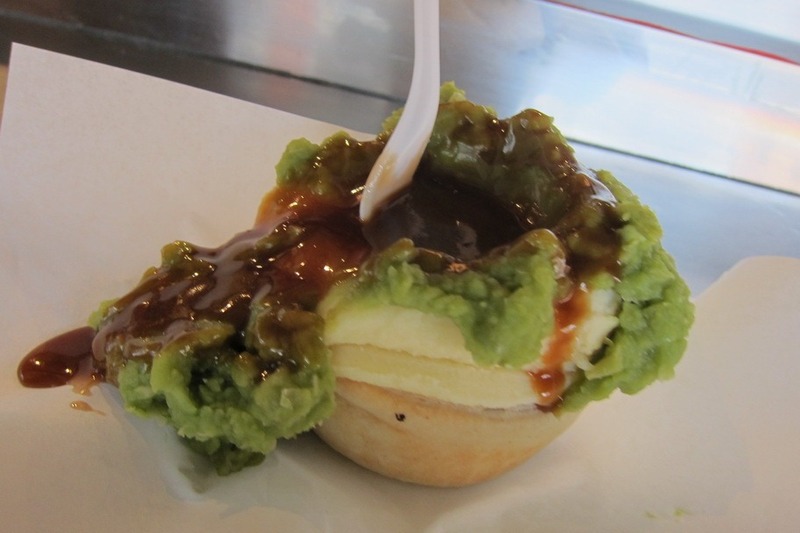 VERDICT: Pie Face is a little bit meh, but could do in a pinch if you’re in desperate need of an Aussie Pie. 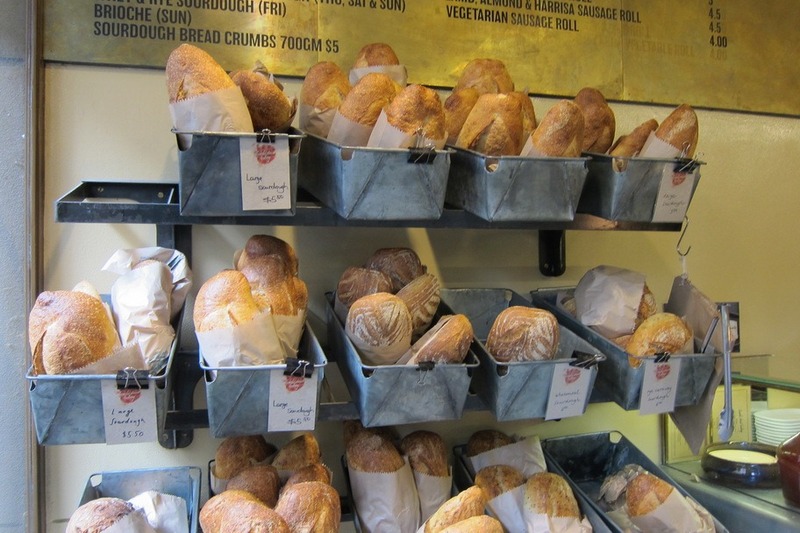 Otherwise you’re probably best off hitting a local bakery. 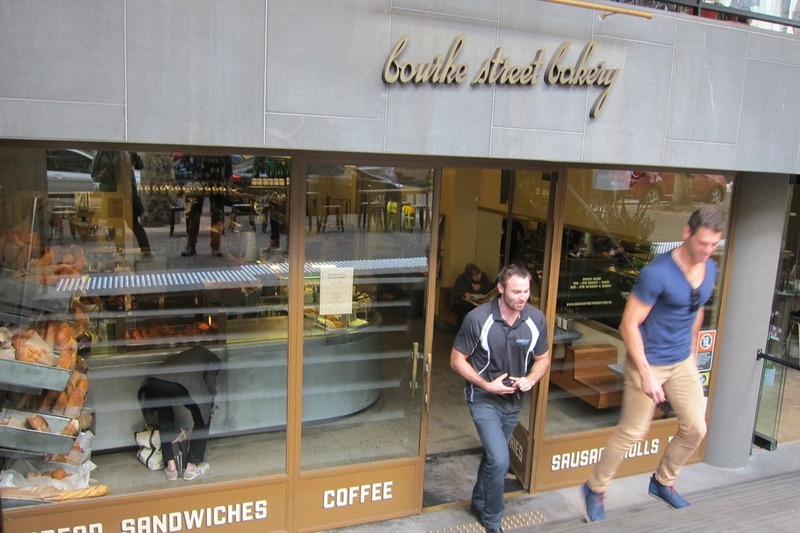 FINAL TALLY: If you’re looking for a great Aussie Pie in Sydney, check out Harry’s Cafe on Wheels – and while you’re at it you’re only a 10 minute walk away from great Sausage Rolls at the Bourke Street Bakery. Having been to Sydney myself, it is truly one of the best travel destinations in the world. It is one of the few cities that I can imagine myself living in. I will be back in the next few years. Great food post. I was in the Navy for 7 years and nothing beats a Harry’s pie on a cold evening whilst alongside. I also hear that Pie Face has opened a branch in NYC if you guys are from those parts. Am loving your regular articles on Sydney guys. Hope you are both having a great time in Aus!